Found a quote that described me to a T. I can’t fake anything even if I want to. My facial expression gives me away each and every time! That’s why I am terrible at poker games. You can always tell if I am bluffing. If I intensely dislike someone, I have a very difficult time even looking at the person, forget about having a conversation with this person! This is my Achilles heel:) but I am okay with that. Here is a video showing my process. I am getting the hang of this video making thing…. yay…. Enjoy! I saw this quote from http://www.hatladies.org. I loved it. It expresses how I feel about hats, the magical feeling of trying on different hats and explains why I love a good hat (and why I bought some hats at the spur of the moment and never seem to have the guts to wear them again 😂 lol!). Cheers to a good hat! 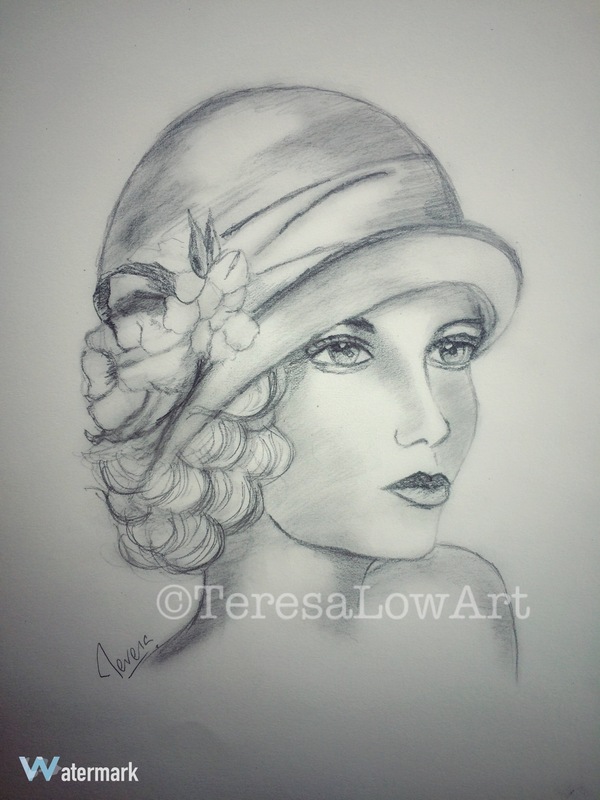 Sketched this in the car on the way back from the beach…Graphite Hb pencil.